A word that needs to come back into this generation of teenagers. As a child approaches adolescence, the natural exploration of boundaries and the need to assert his own independence often leaves his parents feeling as if all respect between them has dissipated. Arguing, defiance and even foul language are normal, though admittedly incredibly frustrating, aspects of parenting a teenager. While regaining a teen’s respect may seem like an impossible proposition, there are ways that you can restore some semblance of balance and civility to your relationship as he gets older. While patience and a refusal to reward bad behavior are the keys to maintaining a measure of order in your home as the parent of teenagers, there are some methods that can supplement your efforts along the way. Seneca Ranch Second Chance Youth Ranch: BUYER BEWARE? Again? Seneca Ranch Second Chance Youth RanchCarolina Springs AcademyMagnolia Christian AcademyNext......If at first you don't succeed..... Are you at your wit's end with your at-risk teenager? Surfing the Internet and tired of all the marketing ploys you are finding?Before you make your plunge, take 5 minutes to read my story - www.aparentstruestory.com - I was once in your shoes. I get it, we need help, your teen needs help. There are excellent resources out there. However when a program is constantly changing their name, what are they running from? Think about it---do you really want to trust your child with people are always changing their name?Be an educated parent. 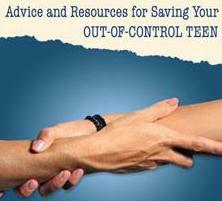 Get your teen help. Do your research. This is only my opinion - based on my firsthand experiences. Parents are feel to do what they feel is best for their family. Have you stopped to consider your child (teenager) has made a choice to hang out with that peer group? They have free will not to hang out with that negative choice of friends--however that is where they believe they fit in. I speak to parents on a weekly basis and often hear how parents can make excuses for their teen. 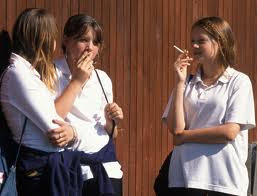 Whether it is a friend's fault--the school's fault--the fault of an ex-spouse--you name it, rather than putting the blame on the person that is making the bad choices, some parents have a difficult time admitting their once good child is now making such negative decisions. Don't be a parent in denial; you are only hurting your child. The sooner you recognize your teen needs help the sooner you can get on the path to recovery and healing in your home. Post Newtown tragedy and we as a society not only mourn the loss of precious lives, we are debating what we can do from to prevent this from happening again. The conversation of gun control and mental health will continue for a long time. As someone that works with parents of struggling teenagers, I am faced on a weekly basis with families that are at their wit’s end. They have exhausted all their local resources, the therapy sessions are going nowhere (if you can get your child to attend), school has usually reached their limit with the student, and in some cases the local authorities are now involved. Over the past few weeks we have heard from parents that feel like their teenagers are holding them hostage in their own homes. They will punch holes in walls, they will scream at their parents, the level of disrespect today is at an all time high. Sadly, though we are only hearing about this in the media lately, it has been going on for years. Working with parents of at-risk teens on a weekly basis, I know firsthand that families are at their wit's end searching for help. Some are literally scared of their own child. 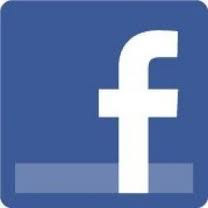 Some are scared of what they read online about residential treatment centers. I don't blame them - I was once a victim of this industry myself, which is why I am a Parent Advocate today. I have made it my mission to help parents find safe and quality residential therapy for their struggling teens. Let's discuss if your teens does need residential care?